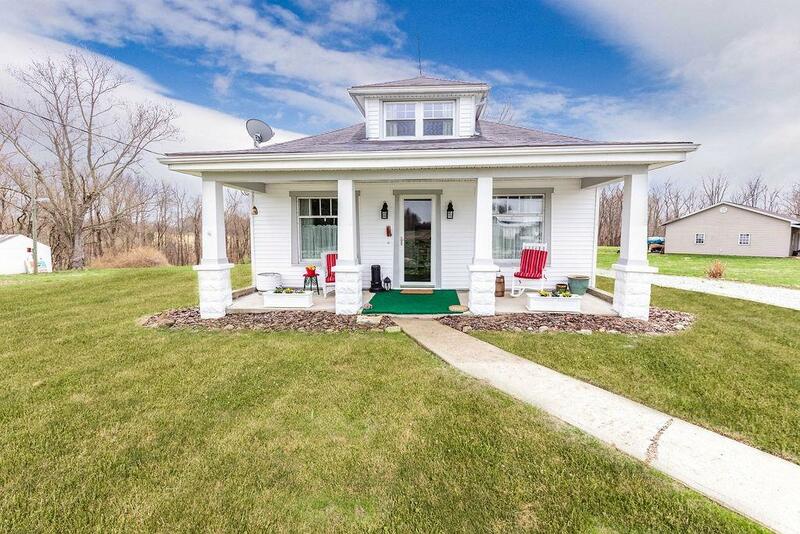 Beautiful totally remodeled home on 5 acres! First floor living with large second bedroom upstairs (new addition with steps). Amazing, country kitchen with granite countertops, refinished hardwood floors. All new appliances Huge first floor bathroom. All new electric, plumbing, vinyl siding. All new windows replaced except front two. New furnace/HVAC. 1 acre invisible dog fence, 1 outbuilding and new gravel driveway. Don't miss out!